Before I start, let me ask you guys a question. Besides eat, sleep and poop, what are the things that you will/must do EVERYDAY? Well for me, masks are one of the essential things in my life that I'll try to dig out some time to apply mask every night. Now let me introduce you my favourite masks of the month! 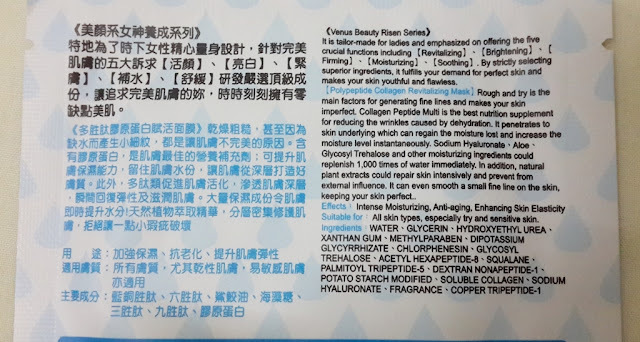 I've been working in an aircond room the whole day since I started my internship and my skin became very dry and rough but thanks god, Beautymate Venus Series: Polypeptide Collagen Revitalizing Mask was there to save me right in time! Beautymate skincare series is developed in Japan incorporating years of expertise and knowledge. It is tailor-made of oriental women and utilizes premium grade natural ingredients. It brings a brand new skincare experience and lets customers indulge in freshness, softness and gentleness. The brand believes that high-grade, high-purity ingredients are key to skincare; therefore focusing on providing the best quality products and solutions to all kinds of skincare needs. Rough and dry is the main factors for generating fine lines and makes your skin imperfect. Collagen Peptide Multi is the best nutrition supplement for reducing the wrinkles caused by dehydration and banishes early signs of aging. It penetrates to skin underlying which can regain the moisture lost and increase the moisture level instantaneously. Hyaluronic acid, aloe, cyanobacteria and other moisturizing ingredients could replenish 1000 times of water immediately. 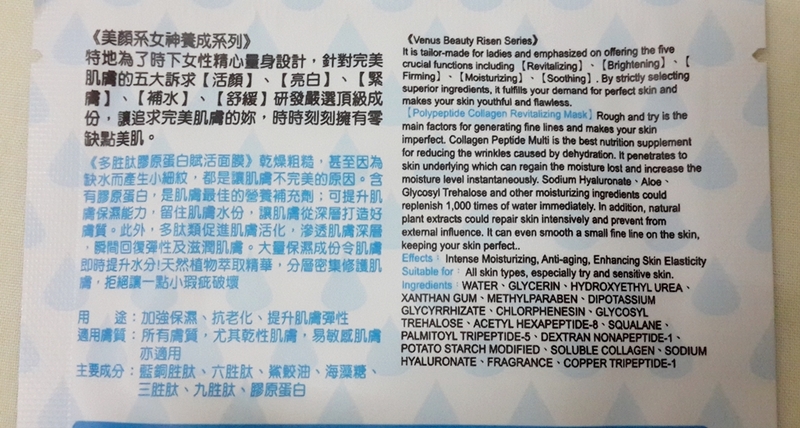 In addition, natural plant extracts could repair skin intensively and prevent from external influence. It can even smooth a small fine on the skin, keeping your skin perfect. 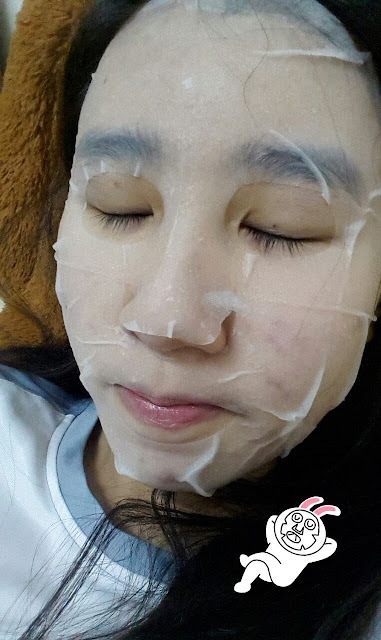 Direction: Spread mask over face and then take off the porous pearl paper. Gently press on mask with fingertips to ensure a snug fit. Leave mask on for 10 to 15 minutes, then remove. Wipe off remaining essence with a cotton pad. Suggest to use 1 to 2 times a week, or more often if necessary. wwweee!!! i want to try this collagen mask too. thanks for helping me to take pic tht day #idotshirt & nice to meet you. i just followed you, feel free to follow me if you wish.